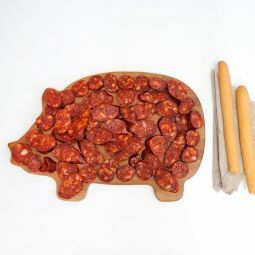 The Sarta Chorizo Spicy, whole piece, is a high quality charcuterie product. 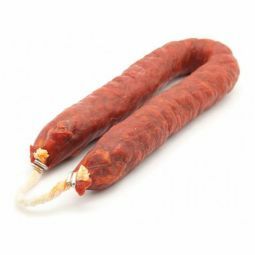 The characteristic taste of cayenne, the air drying and the high quality convert this sausage into a delicacy. 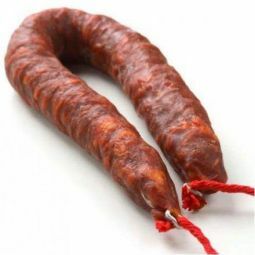 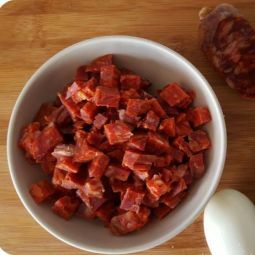 The Sarta Chorizo Spicy, from the region of Castilla La Mancha, is presented in whole piece and it is an air dried charcuterie product of the best quality. 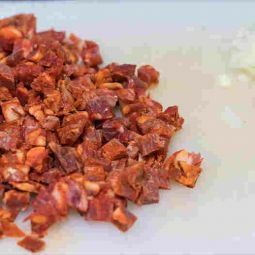 Our Sarta Chorizo Spicy is made with the best pork and with cayenne (pimenton). 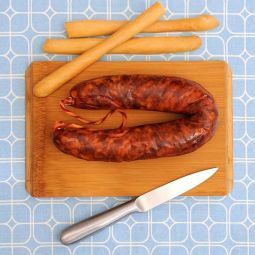 By cutting the air dried sausage you can appreciate the typical orange colour and the white veins. 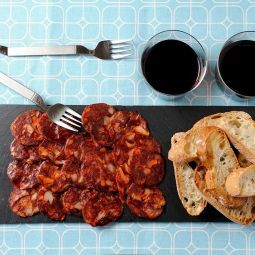 The knowhow and the high quality ingredients create a chorizo with a balanced, rich and characteristic taste. 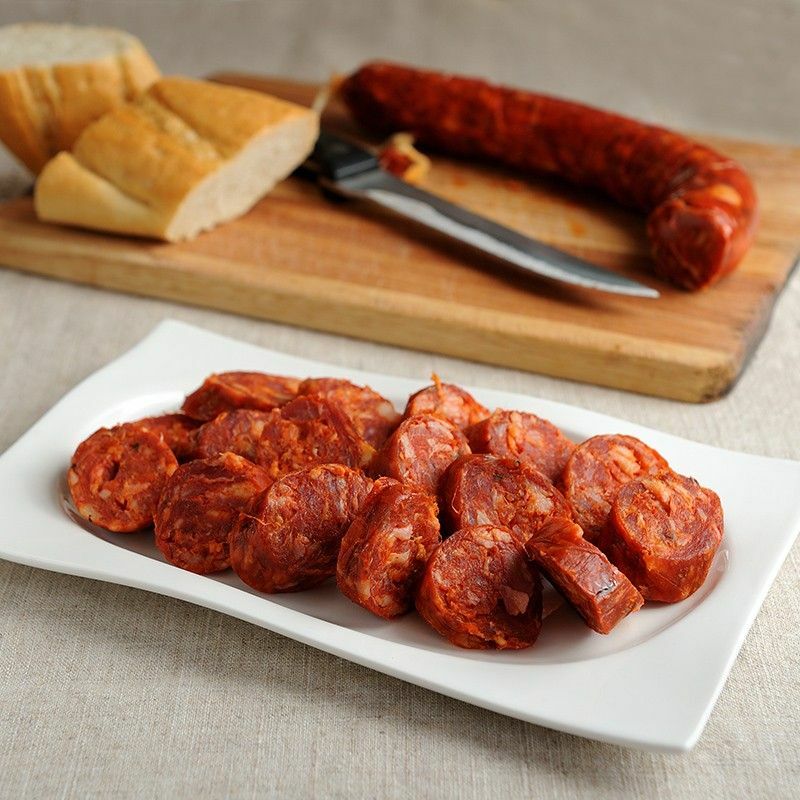 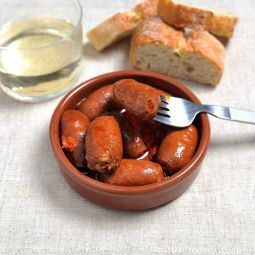 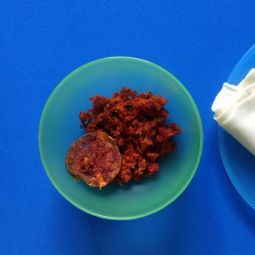 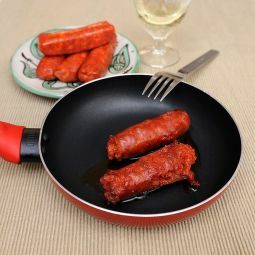 Our Sarta Chorizo Spicy is perfect for frying and as ingredient for traditional Spanish dishes.